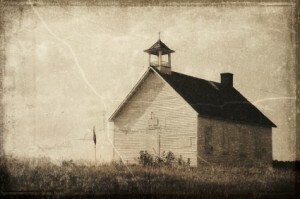 You are here: Home » Schools (Don’t?) Matter, (Nor) Does Creativity? Be sure, I too am against constant and coercive testing as this serves our master’s interests. But as to “stealing” creativity? First, there’s no such thing. …since the criterion of creativity cannot distinguish between the artist and the nonartist, anyone who calls himself an artist is an artist, and anyone who calls himself creative is creative…. That is to say, these are cultural conventions that are not worth arguing about. Sure, testing reduces the time your child spends “learning” something else in school, but what exactly? Is there a “creativity” curriculum available somewhere? Let me show you some creativity that sets my teeth on edge. That is interesting and I’d guess you agree…but what is it saying (and why is “money pool” particularly of consequence)? I think it says this: the brain does stuff and my (DFW’s) brain does this particular stuff pretty well and I think I’ll describe it this way cuz there is no way to know “cause”…’n'stuff. But the “creativity” here says nothing at all. Or rather, and this is indeed important, it says, “terms mathematical are metaphorical, see?” But did you think this metaphorical or mathematically incisive–in other words, did you think that “math” is “inside” all things? In other words, is this an example of that mythical beast, creativity? Second, schools have never encouraged creativity–it’s an obedience training institution! And who could, with a straight face, say otherwise? Most creativity is born of a reaction AGAINST “the man” (systems and institutions of hierarchical dominance). So, really, you should be giving your child instructions to be ANGRY and show them how to take that anger and USE it. While I, in the spirit of solidarity, am against unfettered technology in the classroom–I have to point out that Paul Goodman nailed this issue in 1966 already pointing out the perils of GE funding of education “because they have money and tech and why not”–I am also against the blanket term “creativity.” It’s an easy non-specific “value” that has zero meaning. Here is the issue about technology, and specifically technology “tools” like “iPads:” they are not educational learning tools. They are very simply one thing only–a consumption portal for material products and ideological products. If you worried about “brainwashing” via TV–how in the world can you not see this incursion into the classroom as anything short of revolutionary–a mind control device in every child’s hands. Let’s stop the blather about creativity–this is a WAR for your independence of THOUGHT–period. I don’t know how to say this more strongly. We are fighting “distractions.” Hunker down, people. Find your focus at home! The national crazy is being manufactured. Homeschooling. Because every child deserves to learn that humans rode dinosaurs. Now, many of us (I wrote “most” and changed it) must wonder how in this age and time there are people who have found themselves presented with the “reasonable” explanation that Adam and Eve named dinosaurs and/or that homo sapiens lived among these behemoths. I can certainly easily opine on this but not here. I have thought a bit about it and written something that might be interesting to you here, “Young Earth Activists and the Gap Theory.” The easy money available for this kind of “believertainment” is almost shocking (I am hardly “shockable” any longer). But, I don’t find this an issue to worry over. Instead it seems like the right time to “gather ye rosebuds” and so forth. Institutions are not for “persons” but for a “collective” or “managed” version of a “good” that serves a species (not a man or woman or child). An institution requires an explanation and an hierarchical structure. Otherwise, I would not call it a school and I would not pay anyone as an employee but perhaps create a fund to supply the “gift” of housing and meals for the “instructor” in residence. Perhaps this is too Ichabod Crane, but the teacher once was a kind of itinerant, seasonal worker (agrarian) who basically was paid his keep and nothing beyond as all the community lived in a subsistence manner. THAT was what was most “communally” shared–a common life of subsistence where days were not tomorrows but only today. Further, a teacher was primarily a basic literacy and numeracy instructor unless hired per family to tutor in the more advanced knowledge (mostly classics–Greek and Latin)–here the teacher might be seen as storing up acorns against the winter. It seems plausible to me that this is still the most useful “form” of the occupation. We must teach students how to use the tools of language–teach the way language uses us without our “self-knowledge”–and then let them fend for themselves–let them employ these strategies against the manipulation of their “perspective” by parents, preachers, politicians, con artists, and even ourselves as teachers. I’m not sure that we’re not missing an opportunity to dismiss the institutional coercion that keeps us fighting for an “obedience center” rather than a locus of learning and human community. In some sense I may be arguing that schools don’t matter. That is that we are clinging to an institution that we “idealize” as PUBLIC without considering it’s actual mission and impact. My wish is that we come together to agree locally on what indeed IS a public education–that is, one that we agree upon in our own places–of worship, of business, of concern. In some ways we ought to try to figure out what is deeply resonant in the “home” part of homeschooling. At the very least, it is an “ideal” that embraces a the local person for his/her own sake. We can argue it often is done to serve an ideology that fosters a narrow and ignorant mind, but that isn’t the full story. As Chomsky said of the failure of Democrats in combating the willful and intentional misconceptions spread via the “Tea Party”–some one is giving them explanations and that’s more than anyone else is doing.